You are bidding on a previously owned and in good working condition Bose Acoustimass 6 series II Home Entertainment System. 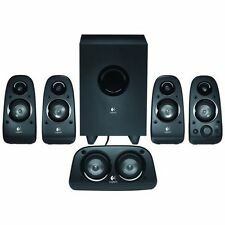 This auction is for the five satellite speakers, subwoofer, four wall mounts, speaker cables, and manual you see pictured. Nothing else is included. It comes exactly as pictured. Please take a moment to look at the pictures and get a better idea of what you are bidding on. These speakers have scuffs and scratches from normal use. There is some fraying around the edges of the screens. There is a dent in the plastic mesh frame on one of the speakers. The springs on the back speaker input buttons are a bit stiff so they take a bit of effort to engage. They have been tested and are in good working condition. The sound great! Please take a moment to check out my other great auctions! Thanks ccloan. Prices do change frequently. Product Features. International Policy. Sub Woofer still has plastic on it. Used - Tested. All new Polk Audio speaker systems consistently have magnetic shielding and R10 is not an exception. First-order filters are used in the system. An absorber is absent inside the body made of MDF. Bass is modest in the usual sense, but we can safely say that against the competitors R10 differs by a confident work with low-frequency content of sound, and considering small sizes, this ability can be found as extraordinary. Voice-matched to Polk's RTi tower and bookshelf speakers and CSi center channel speakers. NEW IN BOX. Keyhole slot for easy wall-mounting. Dipole/bipole switch. Sensitivity 88 dB. Finished in a Piano Gloss Black; they look and sound great. Pics are 100% accurate. Only a few scratches on the back when i was mount it on the wall. These actually sound pretty good. They look pretty nice on the wall. 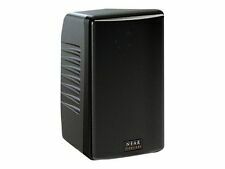 This speakers is good for use as surround sound speaker. Subwoofer Surround Sound Speaker. Condition is Used and tested. OR IRREGULAR SHAPED. Enclosure Type: Sealed. Series: Reference Series. Sounds like 1 source rather than several separate sources. 2-way speaker system. Number Of Tweeters Included: 1. Number Of Woofers Included: 1. Model Number: 1065840 R-41-SA. CSI Black 8" Sub Woofer SW-850 Floor Speaker. 20" L x 12.75" W x 5 1/8" D. Sales only in USA. Tested & Working! CSI Black 8" Sub Woofer SW-850. Floor Speaker. If I have grossly misrepresented the item, I will work with you to resolve the issue. We take our photos in our house and do our best to represent the colors on the materials. 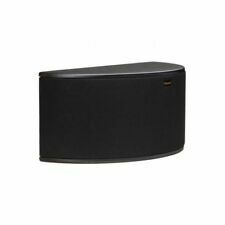 (1) Bose Acoustimass 10 Series II Subwoofer. Subwoofer ONLY. Good working condition. See photo for details. This is for the unit only. The R-14S features 90 x 90 Tractrix Horn technology mated with aluminum tweeters, for the most impressive high-end response and greater extension, enhanced imaging and powerful dynamics. This creates the cleanest, most natural sound possible. 2 surround speakers SS-TSB101. Sub has deep visible scratches & scuffs, deep dents & chipped corners & edges. Speakers have visible scratches & scuffs on the glossy surface / Fabric has holes on the corners. The T15 are those “bookshelf” speakers whose high versatility is built to impress. Think brighter highs, a wide-open mid-range and surprising bass response—the perfect entry into high-performance audio. Wall distance switch for flexible mounting. handles up to 100 watts. sensitivity 87 dB. paintable Sheer-Grille™ for stealth installation. Dolby Atmos® Overhead Sound Effects. Up for sale I have this Pair Of M&K Miller & Kreisel SS-500 THX Speakers. Each speaker measures approx 6 1/2" x 7 3/4" 14 3/4" tall. Please view pictures provided for additional detail and to determine condition of this item. Great addition to your sound collection! Please feel free to ask any questions and I will answer them asap. price is for pair of Axiom Audio Millennia QS-4 Set of two surround satellites speakers . Condition is Used. minor wear but in extremely good condition and well kept. had them setup and moved to a new house where we had to get rid of the home theatre. fantastic speakers that create a wide soundstage. no warranty but you are protected by ebay guarantee that they are in good shape and working. does not come with the wall mount clips or stand. the clips came be bought elsewhere cheaply. The flexibility of the Highline range allows each speaker to be mounted horizontally or vertically and used for any channel of a multichannel system. 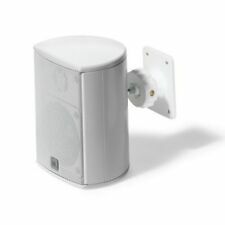 Even the discreetly front mounted badge can be rotated to ensure it remains upright irrespective of speaker orientation.